Ham seems like a simple hunk of meat. All you have to do is buy a cured, pre-sliced ham and warm it up in the oven. Unfortunately, while this is the easiest (and most common) way to get some ham in your belly, it’s not the healthiest option. Your everyday pre-cooked ham is loaded with sugar and nitrates. I’ve been meaning to tackle an uncured ham for a while, so imagine my delight when US Wellness Meats asked me to write up a recipe for their petite ham. This smoked ham is both sugar and nitrate free, using compassionate certified pork. Its size is also perfect for our family of three – 2.5 lbs of porcine goodness. There was plenty for us to eat, and a good amount of leftovers to boot. For those of you using a cured and/or a spiral-cut ham, don’t worry – this recipe works just fine for them as well. 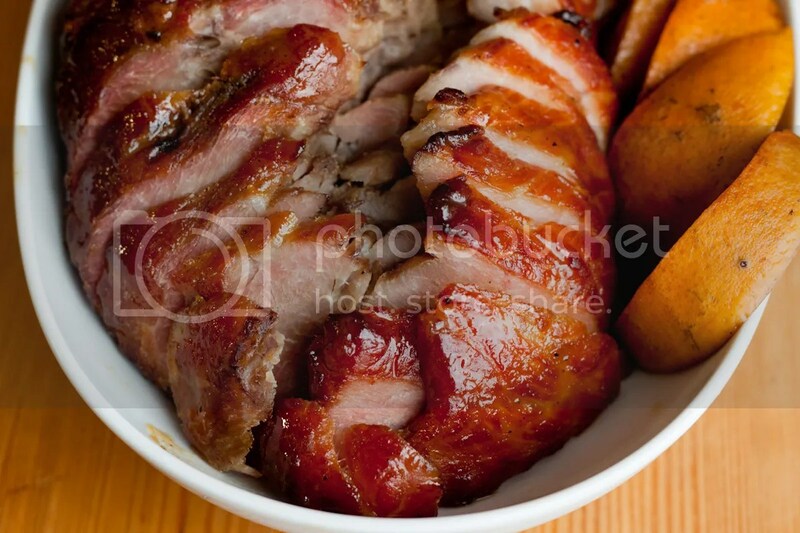 The US Wellness Meats petite ham is already seasoned with cinnamon and cloves, but nothing beats a fresh glaze. This glaze has all of your traditional ham tastes – mustard, citrus, and honey – and mixes beautifully with the savory pork flavor. 1. Remove the ham from the fridge, and let it sit out at room temperature for 30 minutes. 2. Preheat your oven to 325 degrees. Place the ham on a roasting rack, in a roasting pan. This is the rack we use. Pour the wine and water into the pan, and line the pan with the orange slices. Cover the pan tightly with tin foil and roast for 15 minutes per pound, until the ham reaches an internal temperature of 130F. 3. While the ham is roasting, prepare the glaze. 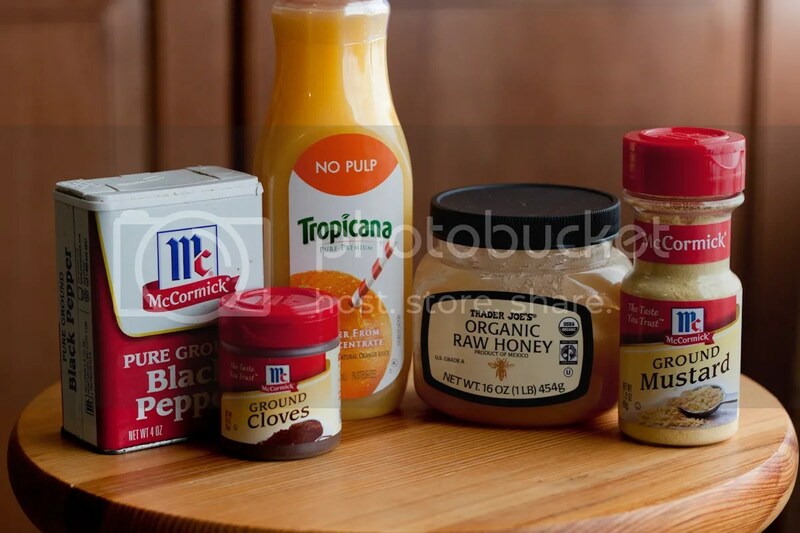 Combine the honey, orange juice, dry mustard, cloves, and pepper; warm over low heat until slightly thickened, about 15 minutes. 4. Once the ham has reached 130F, remove from the oven and increase the oven temp to 400F. Remove and discard the tin foil, then brush on half of the glaze, rotating the ham. Bake for 10 minutes, then brush on the rest of the glaze. Roast until it reaches an internal temperature of 145F, about 10 more minutes. Add water to the pan if it evaporates. 5. Let the ham rest for 10 minutes, then carve. ** This recipe works with spiral-cut hams as well, although you’ll want to wrap the ham in tin foil and place it directly in the pan instead of on a rack, and it should only need to roast initially for about 12 minutes per pound. The rest of the instructions are the same. What a lovely-looking piece of pork! A fantastic recipe, just love it…. and what did you think? was it tasty, yummy, vkusno? It was awesome. Tangy and sweet on the outside, savory and tender on the inside! Russ, this literally has me hyperventilating. I’d hug you if I could! This looks really great. I was kind of pissed looking for sausages and ham at the store last week. I need to get around to ordering one. Even the “organic” stuff had some pretty grody ingredients. I bet this is perfect for Easter! Thanks Cat! Yes, this would be a perfect Easter ham, especially for a small gathering. It’s sad that it is so hard to find a clean ham in this day and age! Russ, I just made this for dinner tonite… after the great success using the US Wellness pork sirloin roast and your recipe, I knew this one would be fabulous too… and it didn’t disappoint. There’s just my mother and I, and since I started eating dairy free, and then paleo, she tends to eye things I make suspiciously. Once again, she was impressed. And since that ham is mine, all mine, I’ve got lotsa leftovers… YAY!!! we are making this recipe for easter this weekend, can’t wait! Made this for dinner last night….SO YUMM! The process was really easy, my kids helped me do everything. i even managed to pick up my in oven meat thermometor and burn the crap out of my fingers:( It was worth it when i bit into my first bit though…i haven’t had ham in just about 10 years because i was severly allergic to nitrates and preservatives it would give me horrible digestion issues and gas. Not a problem in the least with this ham from last night, YAY!! so you don’t brine the ham before roasting? Erin, because this ham is smoked, it really doesn’t need a brine. If you have a fresh ham (aka leg of pork) it would need a brine, since otherwise it’d be bland. This looks amazing. My boys and I raised a couple hogs this past year on a deep bedding system and we have a few 12lb hams in the freezer that I just can’t wait to try this on. I did something similar with one a couple weeks ago with pomegranate juice instead of orange and it was good. Thanks for all the great recipes and congratulations on the people magazine issue. Pingback: Crossfit AMRAP Lake in the Hills | Read. Watch. Eat. Think. What kind of white wine did you use? Could it be subbed for something else? A dry white wine would be best, like a Chardonnay. 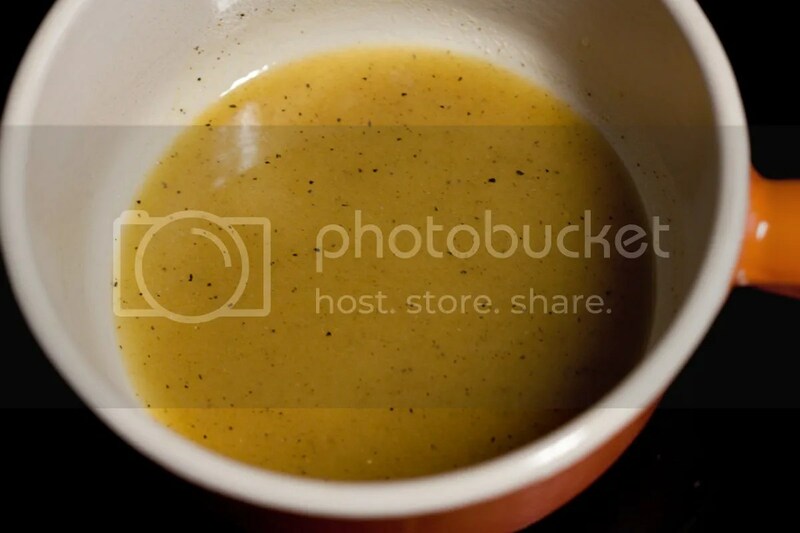 You could use cooking wine or 1/4 cup apple cider vinegar and 3/4 water if you’re looking to forgo the wine altogether. I bought smoked uncured boneless ham from US Wellness. Can I use the ham to make this recipe without brining it? Thanks. Hi Gisela, sorry for the late reply – I just saw this comment. That is the exact same ham I used for this original recipe, so all you’ll need to do is follow the instructions! No brining needed. If I have a 5.6lb bone in spiral ham, would you suggest this recipe or the slow cooker one? Emily, I’m partial to this recipe over the slow cooker one! Pingback: 40+ Delicious Paleo Easter Recipes! - Oh Snap! Let's Eat! I just bought the US wellness 5 pound ham. Will this recipe still work? 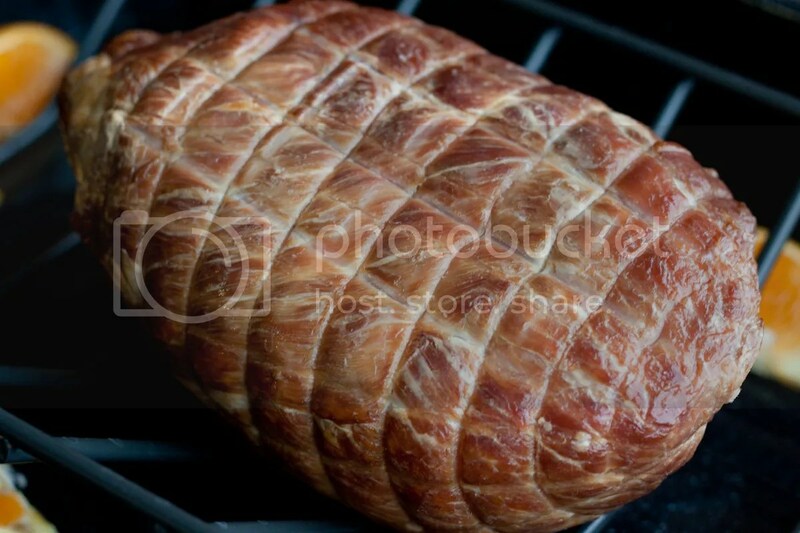 I have a question about the method used for spiral-cut hams. After the ham is wrapped in foil, do you place it in the pan and then pour in the wine mixture? Or do you omit the wine and orange slices altogether? I have been using this recipe for years for our Easter ham. I though it time to say thank you and tell you how much we look forward to and love it each time! The Domestic Man's US Wellness Meats Giveaway!